Based in Prague, Czech Republic, Prestige Aviation provides a tailored service in selling and buying aircraft. To continue their strong growth, Prestige Aviation started a full re branding last year. Since joining the company in May 2014 as the Sales Director, Mark Najman has pushed ahead with a full refresh of the companies marketing. The latest changes came to their website and exemplifies Prestige Aviation’s desire to enhance their worldwide presence and approach-ability. 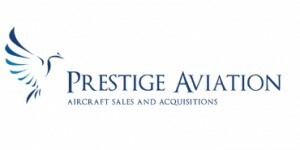 Visit their new website at www.prestige.aero to learn more about the company and to see their latest aircraft for sale.